Bindu astrology software is a new professional Jyotish software provides a large variety of tools and technics of Jyotish, western and medieval astrology in a highly user-friendly environment. Bindu is elegant and easy-to-use astrology software. The clever software design allows you to see many things on the screen at one time, while also not being overwhelmed by too much information. In this video we show how using the pull down menus, tabs, and the navigating tools you can easily bring up the information that you want. Bindu also integrates beautifully with the Kepler and Sirius astrology programs, so you do no enter the birth data again into the other program. The astrology software companies Bindu Astrology Software, which has its headquarters in Tehran, Iran and Cosmic Patterns Software and Matrix Software, which has its headquarters, in Florida, United States, work together closely as partners to provide you the best astrology software. Bindu is available from these websites: www.AstroSoftware.com and www.BInduAstrology.com. The Bindu Astrology Software team have now entered the world of mobile apps, and we expect to be coming out with more mobile apps in the near future. 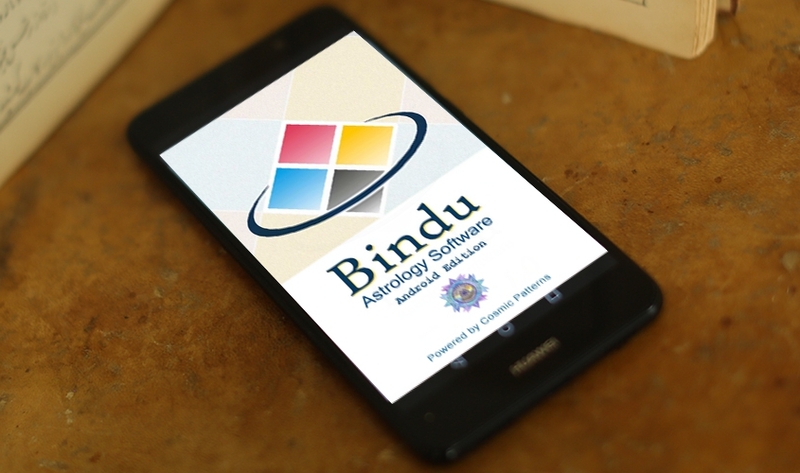 We recently released a Free edition of ‌Bindu Astrology Software for Android phones. This version powered by ultra-accurate Cosmic Patterns Atlas and DST Tables. 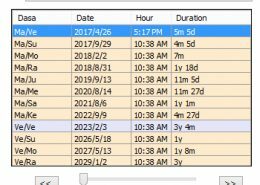 A significant feature of this app is the ability to import and export from and to ‌‌format as well as Cosmic Pattern QuickChart so you can easily have your data on both your App and Desktop program. Bindu automatically informs you to keep your software up-to-date with the latest corrections and improvements! Built into Bindu is an automatic updater feature that informs the user when a minor or major update is available. Our policy is to fix any minor and major bug as soon as possible. Therefore, we frequently fix any possible bug, calculation problem, display issue or error messages as soon as reported by users or discovered by our testers and developer team. Every time you run Bindu, it connects to update server to check for available updates. If there is something new, a message appears and asks your permission to run the updater. If you don’t like to update immediately (for example, you are with a client and do not want to be interrupted), you can postpone updating. Then the update orange Icon shows up on the top bar, and you can run the updater from there later.